A complete and authentic issue of The London Chronicle or Universal Evening Post, 8pp., disbound, minor stain on the binding edge, VG. 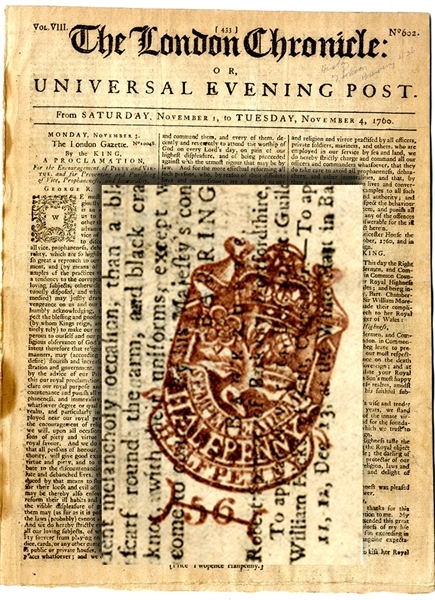 On the second page is the notorious “tax stamp” required for importation of this newspaper. Lengthy full page article : “The History of the London Brewery from the YEAR 1688”. Dozens of small bullet reports from all over Europe.